It’s that time of year again when food lovers everywhere rejoice… Pancake Day! It’s definitely one of my favourite days of the year. I love pancakes. They go with just about anything, sweet or savoury. It’s always fun hearing what other people have with theirs. I’m definitely more of a sweet kinda gal, so Nutella is my go to topping with some strawberries or banana for extra deliciousness. But if you’re feeling adventurous and looking for some inspiration for that perfect pancake topping, I’ve put together 4 of the yummiest recipes I could find for you to indulge yourself in! Where have you been all my life?! 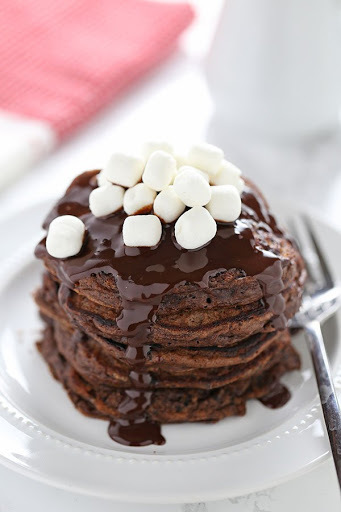 Check out this amazing recipe from Handle the Heat for rich, chocolatey goodness! 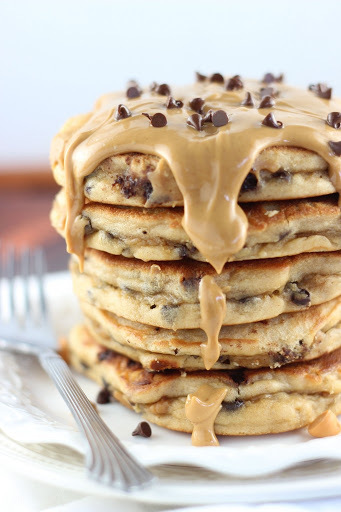 Go nutty for these Peanut Butter and Chocolate Chip pancakes! Yummy recipe courtesy of The Gold Lining Girl. 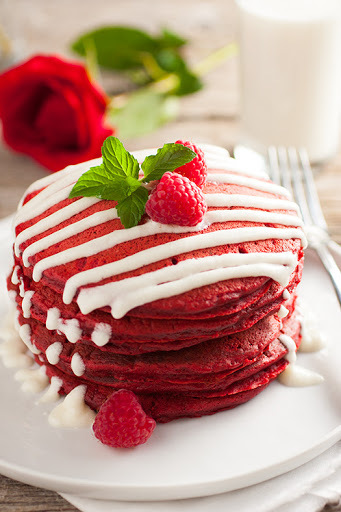 You can’t go wrong with red velvet cake, am I right? So why not combine two of the greatest foods? Cooking Classy has this mouthwatering recipe. I love an Oreo dessert – who doesn’t? 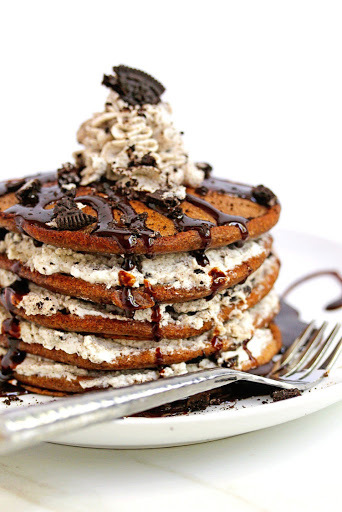 So naturally these Oreo Pancakes are right up my street. Head over to Grandbaby Cakes for the full heavenly recipe. If the images alone haven’t tempted you, then maybe you should stick to a good old lemon and sugar pancake… But for those of you who try these or have scrumptious recipes of your own that you would like to share, please leave a comment below and let me know.